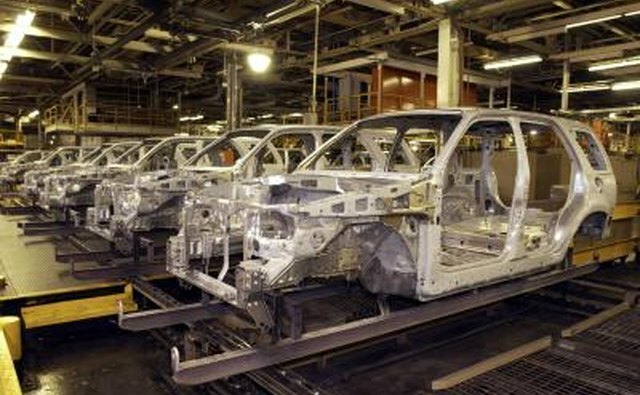 An intermediate SUV is also sometimes referred to as a mid-size SUV. A full-size SUV is also called a standard SUV. The most noticeable difference between the two is that a mid-size SUV is smaller than a standard SUV. There are other differences, as well. A mid-size SUV is smaller than a standard-size SUV; the size affects the car's seating, its storage capacity, the relative comfort of the interior and, arguably, its safety. 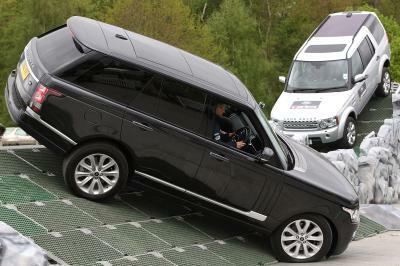 The standard-size SUV's sheer size typically makes it perform higher in crash safety tests. Mid-size SUVs are typically more fuel efficient than their standard-size SUV cousins. The standard-size SUV is designed for off-road capability and increased towing capacity. It typically has a more powerful engine than the mid-size SUV. This equates to less efficient gas mileage for the standard-size SUV. Handling and drivability are typically better rated on the mid-size SUVs than with the standard size SUVs. The mid-size SUVs offer a combination of durability, speed and power, but are not as ideally suited for towing as the standard size SUV. AOL Autos: How Safe Are Today's Midsize SUVs?